A Technology Blog that covers latest Information, How To's, Tutorials, Tips & Tricks about Computer Software, Blogging and useful Websites. In general when we type www.Google.co.uk or www.Google.co.us it redirects to www.Google.co.in as we are connected to the website from India. 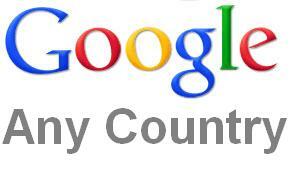 Do you know that you can access Google.co.uk, Google.co.us from India and similarly Google.co.in from US and UK. /ncr is what you need to add to each Google site of different country, this will stop Google from redirecting the site and let us you whichever country site you need to access. This will help people get country specific search result. Can't use more than 4 GB memory in Windows XP? Computer not starting after RAM installation?